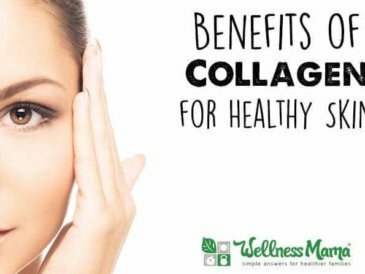 Gelatin is an age-old food that, like collagen, has gained modern popularity for its potential to improve skin and slow aging. It is commonly known as just the main ingredient in foods like Jello but this simple food has so much more potential! Gelatin is largely made up of the amino acids glycine and proline. It is derived from the bones, fibrous tissues, and organs of animals. These amino acids are needed not only for proper skin, hair and nail growth, but for optimal immune function and weight regulation. As a population, we don’t consume these animal parts as much as we used to. Some health experts claim that our modern habit of eating large amounts of muscle meat (like steak) without eating the organs and connective tissue or making broth with the bones may be contributing to modern disease. Gelatin is (and always has been) a highly nourishing food, as well as a very eco-friendly one. When all the more desirable parts of an animal have been removed, the skin, bones and tendons are left. These are used to make gelatin and collagen. 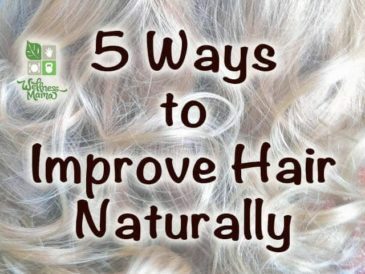 In addition to the health benefits above about balancing out amino acids and being a good source of protein, I take gelatin for its skin, hair, and nail promoting effects. I have noticed a substantial difference in my skin tone and smoothness. 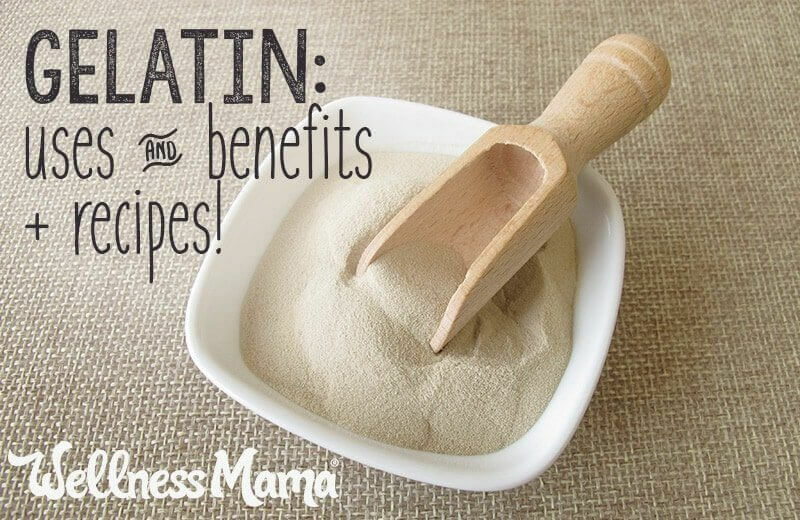 As an added benefit, it gives me extra protein and collagen and helps absorption of other minerals. 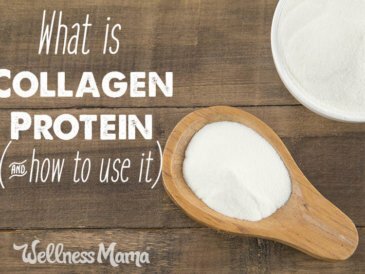 If you are trying to improve skin or joint health or do strength training, I’d recommend gelatin over whey proteins (which are often inflammatory and have added ingredients). I’ve also added it to food and drinks I make for my kids to help them better absorb nutrients. Gelatin seems to be especially effective when taken with meats (balances out the amino acids) or on an empty stomach (to promote human growth hormone production). Optimally, we’d be able to consume high-quality homemade bone broth (or a high-quality store bought one) a few times a day and would be well balanced and have no need for extra gelatin. Since I’m not there yet, I’ve actually been supplementing with a high quality powdered version. Not the stuff from the store, though you can make some healthy Jello variations with it. Marine Collagen– Marine collagen works just like the collagen powder above. It is a great option for those who avoid beef and pork. 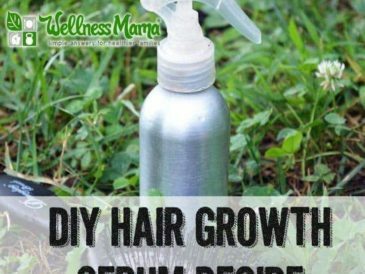 I got this tip from Pinterest and have been amazed at what an intensive conditioning and strengthening treatment it is! To make, stir 1 tablespoon of Gelatin powder into 1/2 cup of cool water until mixed. Add 1/2 cup warm/hot water, 1 teaspoon of apple cider vinegar and 1 teaspoon of honey to create a thick gel/liquid. 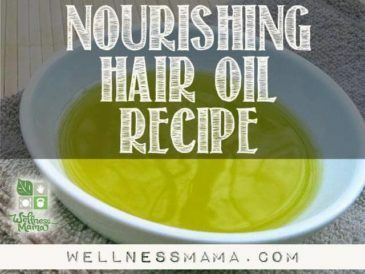 Pour on to head and massage through hair and scalp. Leave on for at least 5 minutes and rinse with hot water. Shampoo as normal. Most store bought chewable vitamins have a lot of sugar, dyes and additives in them. These homemade chewable vitamins are a great alternative, plus your kids will get the heathy benefits of gelatin too! Homemade jello packets have some nasty fake ingredients, but it is simple to make a healthy version at home. With homemade Jello, you can customize the flavors, add vitamins, or even use delicious water kefir or kombucha as the base for a vitamin and probiotic boost! Plus, kids love it! Taking gelatin internally provides the body the building blocks to build great skin, hair and nails from the inside out and helps reduce wrinkles and stretch marks, as I’ve found since mine are dimensioning the more I take it. Do you have constipation or digestive issues? Gelatin might help! Nourishing Traditions and much of the information I’ve read from the Weston A. Price foundation recommend Gelatin (usually in the form of bone broth) as a digestive aid, as it can sooth and help heal the digestive tract. I’ve noticed tremendous benefits in our son who we put on the GAPS protocol, and I’ve also seen daily intake helps keep bowels smooth and regular. Gelatin is most effective when used internally, but even externally, it can smooth and strengthen skin. Another tip: Mix 1 Tablespoon gelatin powder with 2 tablespoons warm water and 1 tablespoon fresh lemon juice and apply to face. Leave on for 15 minutes and rinse with warm water. 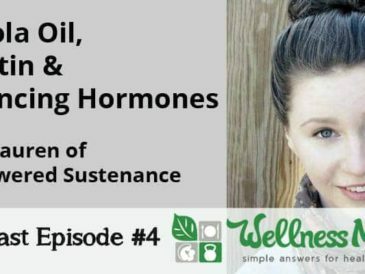 I haven’t tried it specifically for this purpose, but I’ve found forums of athletes and body builders who use plain gelatin powder for weight loss and maintenance, as they claim that it can boost Human Growth Hormone (HGH) production and boost metabolism. 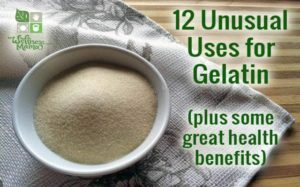 In my opinion, gelatin has enough other health benefits that it would be worth trying for this purpose too, even if the only result is better skin, hair, nails, joints, and digestion. The protocol for weight loss is to stop eating at least 3 hours prior to bedtime, and then consume at least 1 tablespoon of gelatin powder right before bed. These guys chewed it straight, but I’d highly recommend mixing in to a cup of chamomile tea by dissolving in about 1/3 cup cool water and then adding 2/3 cup of warm tea. Much better texture and taste! I am not a doctor and don’t play one on the internet. If you decide to use gelatin as a supplement, check with your doctor or medical professional, especially if you have a medical condition. 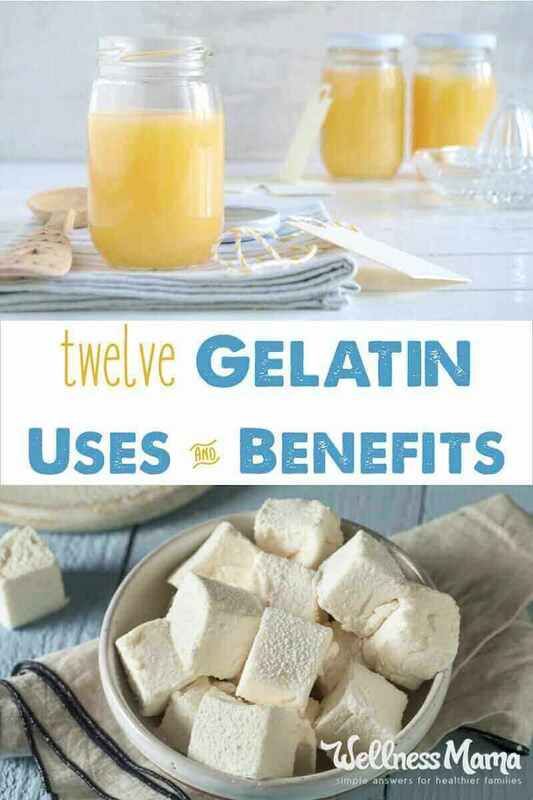 Have you ever used Gelatin? If not… what are you waiting for? Tell me how you use it below!